A challenging and fun game for you and your canine buddy. Looking for a new way to play with your dog? With this game your dog learns to find treats by moving one block after another around in a circle in different directions. Treats can be hidden in the hollows under the blocks. Once your dog has mastered the first level you can up the ante by locking the blocks in position using holes around the up-side of the game. Then your dog will learn to lift these pegs in order to be able to move the blocks and find the treats. Teach your dog words like: wait, go ahead, go back, find it, sit etc. while you are playing. The Dog Twister will enrich your relationship with your dog. Games which involve mental stimulation like this one are great for expending excess energy. 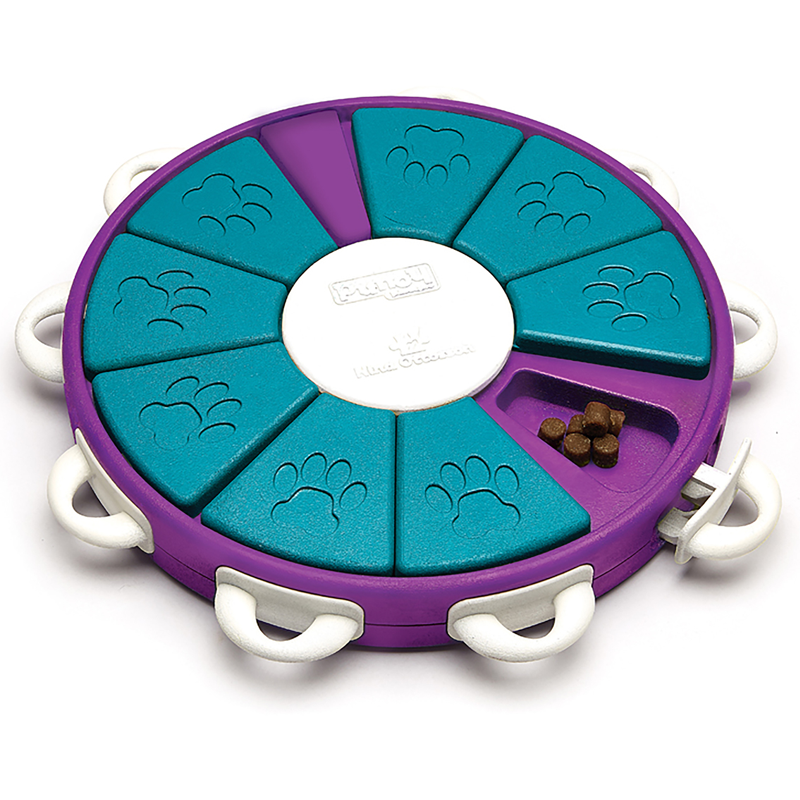 Your dog will feel happy and satisfied after the challenge and the treats. The first time you place treats in all the hollows. Let your dog watch. Place the blocks so that some treats can be seen between some blocks. Tell your dog to “go ahead” and allow your dog to try and find the treats. If your dog hasn't quite got it yet, point with your finger to a treat in a hollow. Praise the dog immediately when she uses the toy correctly. When your pup has understood what to do you can hide a different number of treats each round. Increase the degree of difficulty… lock the blocks with bone-shaped pegs which are to be placed in the hollows all around the up-side of the game. Your dog learns to unplug the blocks by lifting the pegs one by one in order to be able to move the blocks and then find the treats. You can also hide treats under all the pegs. Start by locking some of the blocks. Later when your dog understands how to work, you can lock all the blocks. The pegs can also be placed sideways in order to make it easier for your dog to grasp them. Read 5 customer reviews of Nina Ottosson Dog Twister. The average customer rating is 5. Freya a Labrador x Kelpie loves her Nina Ottosson Dog twister, she uses it to work for her lunch every day. It didn't take her long to work out she has to pull out the plastic bones before she can access her food. You can see her mind and brain working to remember what it is she has to do. The quality is superb, very strong, and large enough for a big dog. Freya can get a bit ruff with scratching when she feels she isn't getting the food fast enough and it stands up to the hard treatment no problems. I would recommend it to everyone wanting to expand their dogs brain and mind. Joey just loves the dog Twister, he holds it by the string and shakes it around. It has a good weight and can be thrown a good distance. It is really solid and should withstand his rough treatment!!. 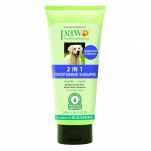 Great product, I have a pup and an older dog, both really enjoy it, it means spending more time with them as well as excerising their minds. Really recommend it. Arthur is my 9 month old Dachshund and I wanted to test how smart he was so I bought the Nina Ottosson Dog Twister. The twister tested both his brain and his nose by making him work out there was treats in the twister and how could he get them out. Even though he now knows how to get the treats out I still set the twister up with treats as it is a great game for him.